This week it is National Cupcake Week (hooray!) a great excuse to do some great baking and not feel bad :). We are celebrating it at work and the children are making child-friendly cupcakes every day to sell to parents and families to raise money for charity. A great idea to get involved with if you too work with children (or even if you don’t). 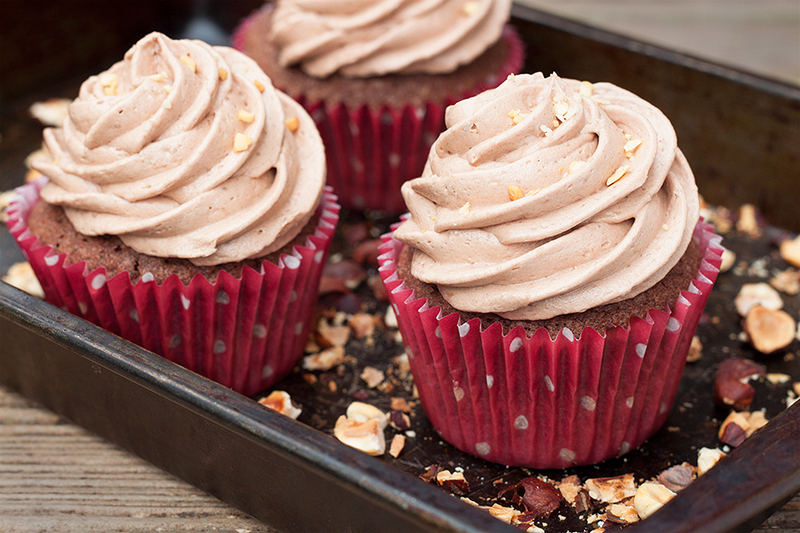 There are so many flavours and ways to make cupcakes, the list could be endless. However, I like to bake using everyday products I already have in. One product I always, always have in is Nutella. Yep, I have a huge Nutella addiction and like to have it on toast, on porridge, make hot chocolate with it, eat it off the spoon, dip my fruit in it, spread it on pancakes and add it to shakes. My list of ways to eat Nutella could go on for a while. I suddenly realised though I have never baked with it (shocker!). So it was about time that I did.So here is my yummy Nutella cupcakes with Nutella buttercream recipe for National Cupcake Week! Preheat the oven to 180C an line a bun tin with 6 cupcake cases. Mix together the Nutella and butter. Add one egg at a time with a little flour and mix. Add the rest of the flour and cocoa powder, chocolate extract and mix well. Using an ice cream scoop, scoop equal amounts of mixture in to the cupcake cases. Bake for around 10 minutes. Once baked, leave the cupcakes to cool. Once cooled using a spoon, or even the bottom a piping nozzle to get a nice round shape, scoop out the center of the cakes (I give you permission to eat the middle you have removed as you won’t need them!). Fill the center of your cakes with Nutella. To make the buttercream mix together, using an electric whisker, the butter and Nutella. Sieve in the icing sugar (I always make a mess so I do it little bits at a time 🙂 ) and stir gently using a wooden spoon. Lastly add the milk and mix again using an electric whisk. Using an electric whisk should make the buttercream looser, making it easier to pipe. 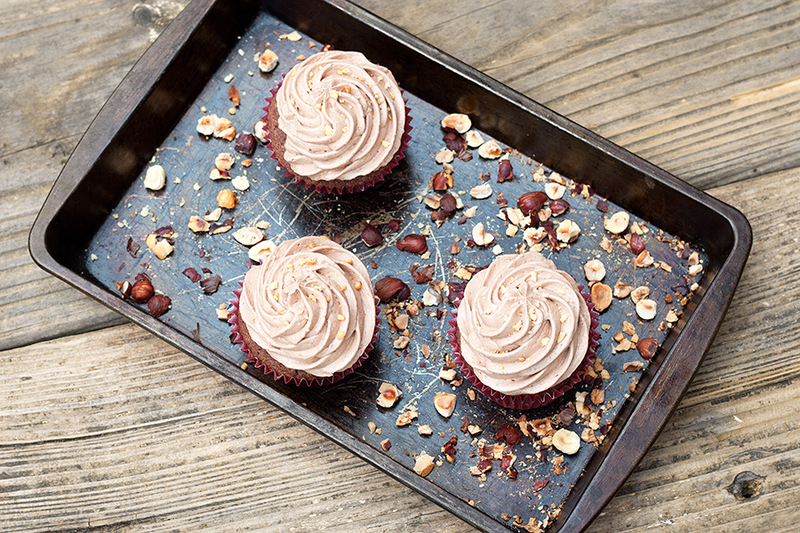 Pipe your delicious buttercream on to your cupcakes and sprinkle on crushed, roasted hazelnuts!